This article was first published in the Sunday Guardian on 26 May 2018 with the title, “Authoritarian childcare in Europe’s liberal democracies” as part of the ongoing weekly series called “Global Child Rights and Wrongs” in collaboration with this website, www.saveyourchildren.in. The series critiques the role of governments and NGOs in the child rights field. In Great Britain parents are allowed to bring their children to Switzerland or the Netherlands to perform euthanasia “to avoid suffering” but they can be forcibly stopped by public health authorities from prolonging or seeking alternative treatment for their severely ill children. In Norway and Sweden child welfare authorities are given even wider powers to override doctor’s prescriptions and remove a child’s medication, sometimes with deadly consequences. His life support was ultimately withdrawn by a court order obtained by the British authorities over the opposition of his parents. He died about a week later, denied by the British authorities and courts, in the name of the “best interests of the child”, even the right to be flown to Italy which offered him free medical care at the behest of the Pope who stepped in to support the family. In Norway, a 13-year-old girl in foster care was found dead in her bed the morning before her birthday. According to the Norwegian newspaper VG, “The cause of death has not been established, but in the autopsy report epilepsy is raised as a possible cause….In the period before the death, both the girl’s then General Physician and her biological parents, through their lawyer Louis Anda, repeatedly expressed concern about the girl’s epileptic seizures, asking for her to receive health care.” It was Norway’s child protection authority, the “Barnevernet”, who had taken away her medication, even though her doctor emphatically stated that she suffered from epilepsy. The girl’s parents reported the case to the Chief Municipal Medical officer, the local Barnevernet authority, the Municipality and the girl’s foster carers. The prosecutor, however, in June last year dismissed the case “due to insufficient evidence”, which the parents appealed, only to have the case dismissed again. 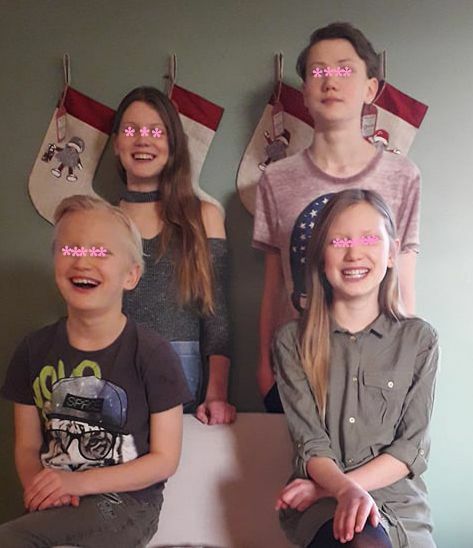 Just across the border from Norway, on the western coast of Sweden, Lisa Billö and her husband Sven-Olof, recently found their children confiscated by the Swedish Social Services, “Socialtjänsten”, over a disagreement on their medical diagnosis. It was late at night in January this year when five policemen in uniform and three other public servants showed up at the Billö home. Their youngest son opened the door, only to learn that he never ought to have done that. He and his three siblings were removed from their home in police cars. Before this fateful day, the children had not even heard about the Socialtjänsten. The four siblings were first divided between two, then three and, soon, four separate foster homes. A visitation ban was quickly issued against the parents based on a fictitious claim that they had threatened to kidnap their children from care. The children are 9, 11, 13 and 15 years old. Why were the children taken? According to Swedish Social Services the parents were guilty of “gross neglect” of their children. This allegation, however, was not made when the children were first removed from their home. In order to justify an order for “emergency care” the Social Services made the bizarre claim that the parents were suicidal and even planning to kill the children in a suicide-murder! Lisa says this was a completely absurd accusation that could easily have been cleared up had the social workers contacted the parents. So, why were the children removed? Their mother explains: “The Social Services decided that we exaggerated the children’s symptoms, which led to the children not receiving proper schooling.” Having got the children in their hands, the Social Services simply moved on to this next allegation and never mentioned their claim of suicide-murder again! Lisa Billö tells us that her children suffer from serious allergies, some of which were triggered by a severe case of mold in a home they had previously occupied. She says they have acute chemical sensitivities which requires them to be careful about the food they eat and avoid exposure to things such as the chemicals in fragrances and so on. These allergies and sensitivities have been diagnosed by the children’s doctors and Lisa has the medical certificates for this. To help the elder two children cope with their illness, their school arranged a distance learning system which enabled them to study from home with their own teachers using Skype and phone. All this happened with approval from the authorities. Lisa points out that the children’s grades with this arrangement were more than acceptable. The Socialtjänsten said that the parents were “exaggerating” the children’s illness. Lisa says they made this decision without talking to the children’s physician. The fact that the children were getting better under treatment with their doctor was dismissed by people in the public system who have not studied medicine, and yet consider themselves as more qualified than people who have. The courts seem not to care about arguments from the doctors, while giving the Social Services carte blanche, just because they are an official body. One of the children’s physicians testified in court that the parents were not exaggerating the symptoms. Lisa is calling the other physicians to the next hearing of the case to testify that the children were indeed suffering from such illness as their parents were claiming all along. Lisa says she was forced to hold the younger children back from school owing to the disagreement with Social Services over their lunch. Instead of coming to a reasonable solution, Social Services swooped down and removed the children in a surprise move. In fact, after the children were taken into foster care they have not gone to school at all and Lisa says they will now not even get pass grades, or any grades. Not only that, after their removal Lisa says that the children’s health has deteriorated. Care is not being taken to ensure that they are not given food that affects their allergies and other ailments. They are being served food of poor quality, which exacerbates their symptoms. She says that the reason the children are not going to school is that they are too ill to do so, but the Social Services refuse to acknowledge their illness or permit the adjustments that will be required in order to enable them to attend school. Instead of admitting the children are ill, they claim the children are “offered” school, but “refuse” to go. Before the children were removed, their physician diagnosed the eldest son with myalgic encephalomyelitis or Chronic Fatigue Syndrome caused by the mold. According to the physician since Social Services refuse to recognise this diagnosis, the child has not been getting the treatment he needs in foster care and there is a risk he will never make a full recovery. This doctor has accused the municipality of jeopardizing the children’s health. Readers will get a sense from this of how authoritarian Social Services can be, going to the extent of removing children when their parents disagree with them over their diagnoses or treatment. In the Baby Alfie case the parents’ pleas for alternate treatment fell on deaf ears simply because the public health authorities took a different view to theirs. In Norway too once Barnevernet make their decision, it is treated as absolute. The thinking seems to be that Barnevernet is never in the wrong, and the parents always are wrong. In the Billö case the Swedish authorities have actually denied the diagnosis of the children’s qualified medical doctor. This family’s case joins a growing number of instances showing the extremes to which public authorities in welfare states of Europe will go to deny parents the opportunity to pursue alternative treatment or go to doctors of their choosing for their children. Lars-Toralf Storstrand is a journalist and author who himself left Norway with his wife and children owing to persecution by their child protection authorities. Post Script: We are happy to inform our readers that a few weeks after this article was published in the Sunday Guardian, in mid-June 2018, the Billo’s won their case and the children were returned to their family.